You are here: Home → Articles → Future perfect? This is, in so many ways, a rehearsal. A preparation for the future. The music from Swan Lake is instantly recognisable, but it’s for practice, not for real: the rippling piano can only approximate Tchaikovsky’s soaring strings. The pianist is accompanying a repertory class for final-year students at the prestigious Elmhurst School for Dance, the affiliate school of the Birmingham Royal Ballet. Eight young men and women, aged 18 and 19, are rehearsing the white swan pas de deux, under the guidance of senior teachers Errol Pickford and Lei Zhao. The ambience is studious and practical: everyone is focused on getting the work done properly. The students are a mixture of heights and shapes and races, but watch how they adjust their limbs, lines and timings, the way they check the mirror, the teachers, each other, themselves – and a powerful, unifying aim comes into focus. They are all working to embody this pas de deux, to become that ideal. And behind that, you sense yet another ideal at play. They are also working towards transforming themselves from who they are now – ballet students – into who they might become: ballet dancers. These students are at a pivotal moment in their lives. They will soon leave the school where they have been boarding, some for three years, others for seven. You could almost see their time at Elmhurst as a rehearsal for the stage they are about to enter: life as adults and – if they make it – as dancers. What has this preparation been like? Are they prepared for lives as dancers? And what about the unforeseeable or unimagineable future – one in which they don’t make it into a company, or change career because of age or injury? They appreciate that their academic qualifications will stand them in good stead. Some have a ‘Plan B’ in the back of their minds (mostly working in theatre or arts). But the imperative now is to focus on their first steps into the professional dance world. They’ll deal with Plan B when the time comes. It’s not only the students who are changing. Ballet training is changing. Ballet itself is changing. And Elmhurst is changing too. Robert Parker became artistic director in autumn 2012 – fresh from a lauded career as principal dancer at Birmingham Royal Ballet – and is well placed to see how the training matches up to the wider world of ballet. He’s a youthful and dynamic presence at Elmhurst – I keep seeing him breezing down the corridors, from one meeting to annother. ‘It’s like spinning plates!’ he says when we finally manage to meet. He has a typical dancer’s ‘deal with it’ attitude to the job, and already has some practical proposals in place: developing links to professional companies, or introducing Dalcroze eurhythmics (‘musicality is really important if you want to be more than just a good dancer’), more aerobic exercise and gymnastics (‘because these days, dancers need to be fearless about trying things out’). Founded in 1923, Elmhurst was rebuilt in 2004 as a spacious complex of studios, corridors and grounds. I wander through the upper foyer, where art teacher Annika Amos prepares an exhibition of students’ work, while all over the building there are dance classes. It’s not all ballet: there is contemporary and jazz and, to my surprise, flamenco, where I encounter Ana García preparing her students, aged 12 to 13, for their end of year show. 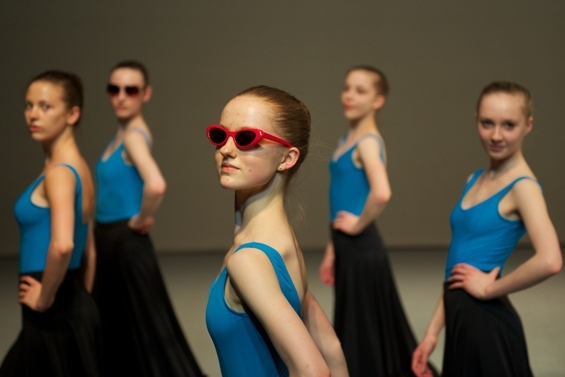 The girls are rehearsing a section that features sunglasses and attitude. ‘Imagine,’ says García, ‘that you are the most beautiful girl in the world and you going to meet’ – she pauses – ‘your new boyfriend!’ There’s a flurry of excited laughter, but García is also making a serious point. They may be working on technique but they are also working on performance. ‘Imagine looking in the mirror and you really like what you see,’ she says. ‘What other people think – doesn’t matter! You are the best! Now go, walk like that.’ They go out, and they strut their stuff. Pleasure, laughter, confidence – not qualities I generally associate with dance training. I am surprised by how surprised I am to see this pleasure, this laughter, this confidence – not qualities I generally associate with dance training. Especially ballet training. Indeed, the ballet class I attend next, for the school’s youngest students, also preparing for their end of year show, is much more in line with my expectations. It is orderly, the students are focused and diligent and the teacher is attentive and instructive. But to my eyes, it also looks needlessly disciplinarian, personally undermining (telling students to be quiet may be ok; telling them they have a ‘gob’ isn’t) and frankly pretty joyless. But as Ward had said: change takes time. When I speak to the young students after class, however, they appear to be a rather chipper bunch. They seem already to have developed a new sense of family: the girls in particular have a strong sense of sisterhood. I can imagine them turning out to be resourceful in emergencies and interesting at dinner parties. What I can’t imagine is how they will turn out as dancers. Some may be great, some competent and some, for whatever reason, will simply not make it. And suddenly I realise that vocational dance schools have an almost impossible balancing act to perform. Not only do they need to prepare students for future careers as dancers, with all the demands that entails; they also need to prepare students for a future in which they are not dancers at all. The measure of success is not whether they succeed in becoming someone else, but whether they manage to become themselves. I remember my final moments at Elmhurst, the young students bursting with excitement on our quick tour of the boarding quarters, eager to show off their rooms. And I wonder what the world will be like when they graduate, who will go into dance careers, what they will achieve, who will be happy. And I realise that the measure of success is not whether they succeed in becoming someone else – a famous dancer, a great choreographer – but whether they manage to become themselves, whoever that may be. Is dance a contest? 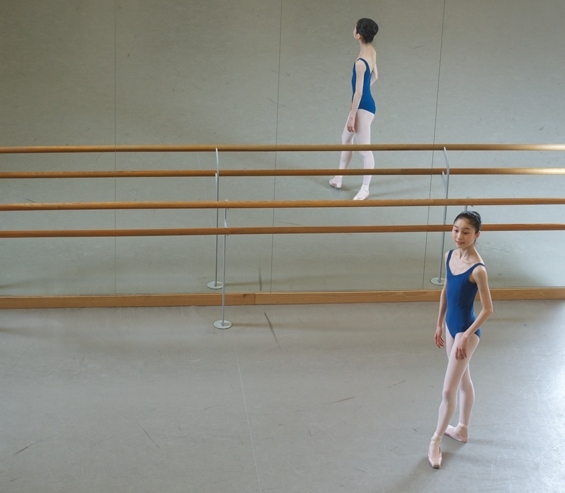 How do young dancers psych themselves up for a competition?